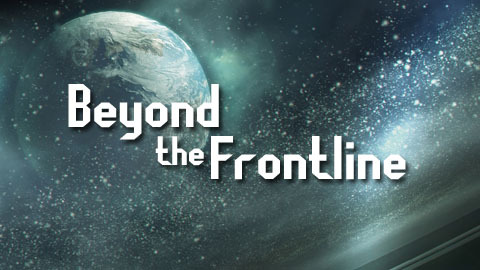 Beyond the Frontline is a regular feature where the staff here get up on the soapbox and put forward an idea or ideas, usually topical, relating to Halo. Each BTF is a talking point designed to start a dialogue and unlike our regular word blasts and articles, the entries are short and sweet. If you agree or disagree with any of the points raised we strongly encourage you to reply in the comments and be part of the conversation! Can 343 prevent another Uprising? Would fans mind if Halo’s cut-scenes weren’t rendered by their Xbox? Is an important piece of Halo fiction overlooked? Would a focus on the average solider offer a more human perspective? Is the Halo 4 beta really inevitable? Which game defines “classic” Halo and how will 343 approach it? All units! We need more experiments like Halo Wars. Is time travel the future (past) of Halo? How should Halo Waypoint integrate into Halo 4 and beyond? How can Halo games handle the inevitable wave of in-game advertisements?